Wisconsin is home to an abundance of educational institutions and places for children to engage in hands-on learning activities. Let these little minds learn about Wisconsin’s great caves, their favorite zoo animals, nature, and history with these 10 great educational activities in the state. Cave of the mounds is such a fun place to take your little explorers. Teach them about rocks, caves, and other creatures found around the area. Guided tours are year-round and their gift shop offers cool trinkets and books for your kiddos to reflect on in the coming years. Milwaukee’s Urban Ecology Center located in Milwaukee is the perfect place to bring your kids. They’ll learn about the environment, plants, and animals all while playing with other children interested in the same things. They offer tons of events throughout the year to support lasting education. When the weather is nice—plan a trip to the Milwaukee County Zoo. Your children will get some exercise outdoors while seeing over 2,500 animals. Make sure to stop and see their free roaming peacocks as well as their indoor exhibits. The Madison Children’s museum is the perfect place to bring the kids. Exhibits include topics on art, sciences, history, culture, health, and much more. Best of Madison ranks the museum the Best Museum in Madison. If the weekend weather wasn’t what you planned, the Children’s Museum is a great place to continue the fun. Exhibits at the Northwoods Children’s Museum change frequently with the seasons. Currently they offer an Energy Exhibition, and Art Center, Bubble Station, and Grandma’s Attic. Children will laugh and learn hands on. Let them put down the techy gadget and pick up a couple of fun facts to share with their friends. Located on a 500-acre property in Columbia County, the MacKenzie Center allows your children to reconnect with nature. Admission is free and they have tons of trails, outdoor activities, and a cool wild life museum. If your little explorer enjoys getting dirty outdoors, they will love the freedom at the MacKenzie Center. Does your little tike love dinos? The Dinosaur Discovery Museum located in Kenosha is the place to be. They offer one of the most completed known fossil records. 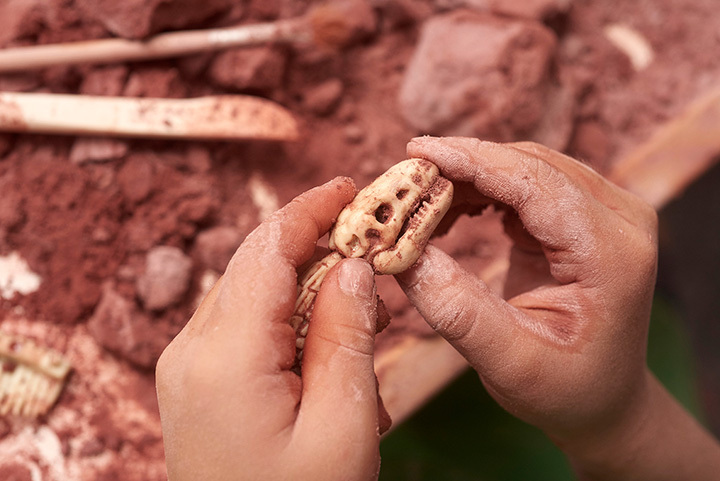 They have guided group tours that will fill your kids’ minds with tons of facts about our prehistoric friends. While the Circus World Museum might seem like only fun is to be had, they do teach their tiny audience members a thing or two about the beautiful animals they work with. Learn about the long history of the circus brothers and explore all of their fun exhibits. The Henry Vilas Zoo located in Madison is a completely free zoo. With over 28 acres, there are tons of animals and exhibits to learn about. Be sure to stop in for one of their Bleacher Programs—a 30-minute show featuring live animals and age appropriate content! Up, up, and away! The EAA Aviation Museum is open year-round and vows to preserve the historic aircrafts from different ages. Their collections offer more than 200 different aircrafts. They have tons of exhibits and galleries for learning fun new things about airplanes and their interesting history.